On July 12, PUMA launched 23 club team Away and Third kits under the same design concept – a first in PUMA history! The global reveal across 7 time zones shook the football world and garnered massive attention on social media and above. When football players enter the stadium, the pressure is on. The cheering crowds and roaring fans contrast the players’ stern concentration pre-game – their sole focus already on the match. When the stadium is the Colosseum and the players are the gladiators – the jersey becomes their armour. 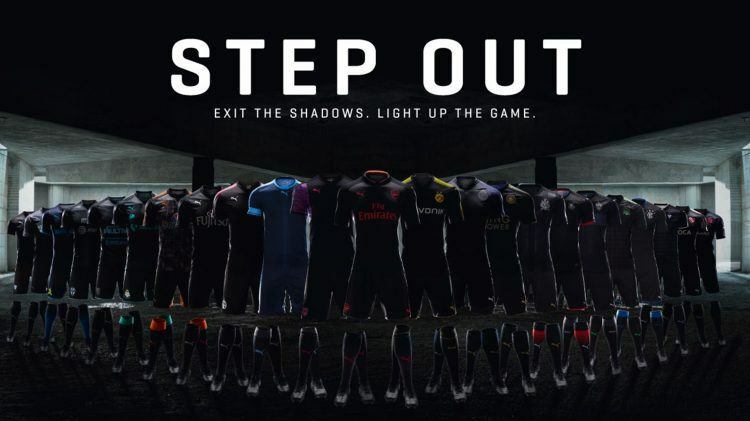 In mid-July, PUMA revealed a staggering 23 globally licensed club Third and Away kits under the slogan “Exit the shadows. 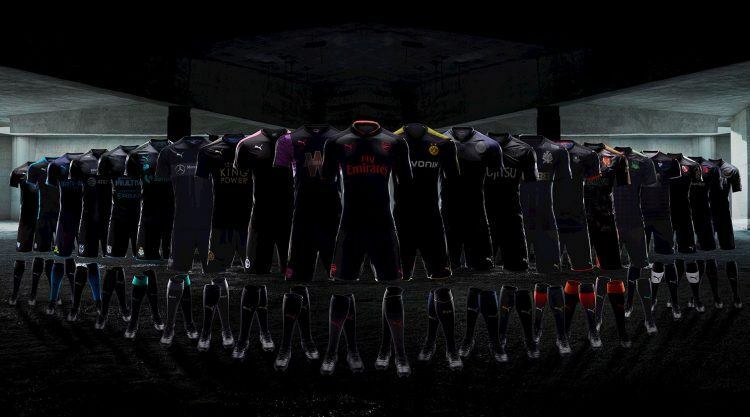 Light up the game.” The kits are each dark and fearsome in colour, technically-advanced and premium in material. While the overall design concept applies to all the teams’ jerseys, they contain unique detailing inspired by the club’s home stadium or town so home pride is with the players wherever they may be. 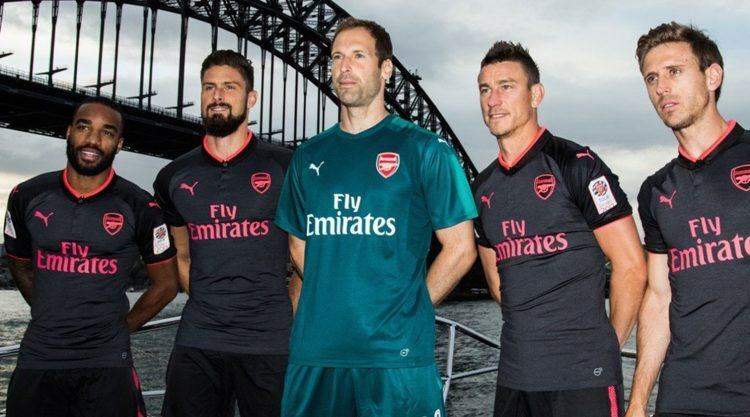 But most of all, the new kits exude strength: “By creating these strong and clean looking kits the aim was to give both the players and fans confidence in style as they step out onto the pitch”, explains Matthias Mecking, General Manager Teamsport. Exit the shadows. Light up the game. When you step out to face your rivals, you must turn up the intimidation factor. Give everything, then take everything, and make it yours. As the concrete arena surrounds you, occupy their space. This is not an away ground, this is your ground. The global reveal across 7 time zones caused quite the stir! 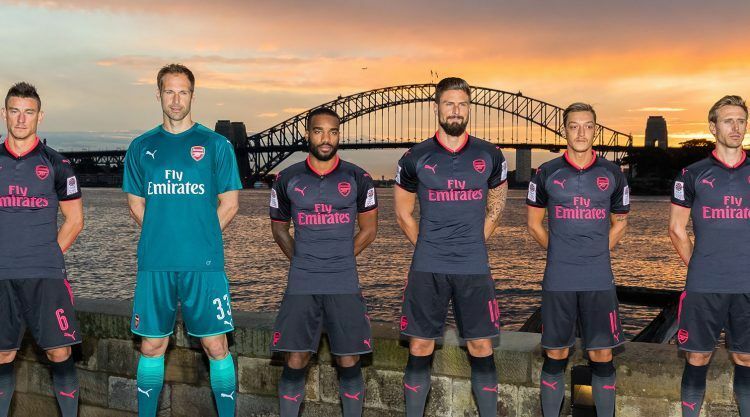 When the Arsenal FC team first stepped out in front of Fort Dension, with the sun setting on the backdrop of the Sydney Opera House and Harbour bridge, there was no holding international football fans back. 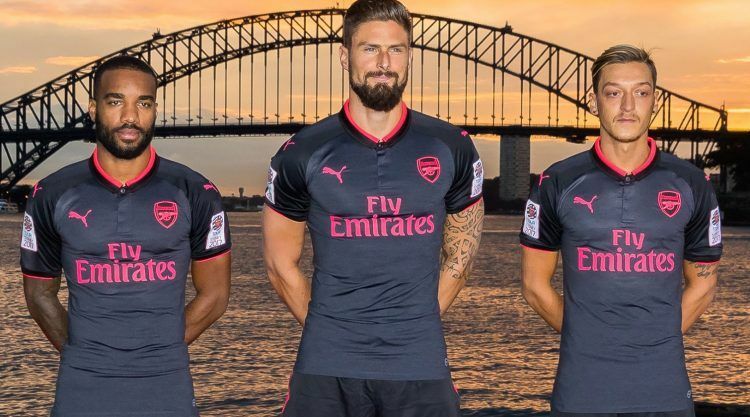 All over the world, the other clubs launched their kits as the sun went down in their countries. The media campaign surrounding the launch garnered tremendous attention. During the Step Out kit launch phase, the global PUMA social media audience grew by over 50.000 fans within 3 days. The cross-channel campaign accompanied the exciting reveal every step of the way. But it didn’t stop at our own PUMA channels, the clubs and players posted diligently as well! Teams like Arsenal (38 million Facebook followers) and Borussia Dortmund (15.4 million Facebook followers) blessed their fans with numerous pictures and videos. over 5 million Step Out video views during the launch phase! We can’t help but feel that the PUMA family grew impressively during and after the reveal and we can’t wait to see all of the teams showing off their new kits! What clubs were part of the launch?